At ChannelSale, we can help you to boost sales for your CS Cart stores by integrating it with the Rakuten platform. Rakuten, the huge Japanese online marketplace, is respected all over and the platform has been able to change the fortunes for many ecommerce stores across the globe. We use the most sophisticated software management tools in order to make the integration as smooth and effortless as possible. Our advanced CS Cart Sears plugin and CS Cart Sears app achieves a smooth integration and synchronizes your store items with the appropriate categories from Sears. Integrating the platform with your e-store can improve your business prospects significantly, and boost your sales and revenues. You can also get comprehensive management services from our end, whether real-time inventory management, automated product listing or shipping and order tracking management services. Our assistance can assist you in managing your single or multiple stores very easily. Why Our Services Can Be Useful For You? We use granular level item category mappings in order to sync products from your CS cart ecommerce store with the most ideal item categories over Rakuten. You can get various types of management assistance services from us, including user logging activities, stock level synchronization, multiple store account managing and more. No matter what your products are and what type, size, colour and shape they belong to, we can handle them. We can also offer support to all kinds of products, whether group items, kits, simple, multi-variational or bundled items. We use our high tech CS Cart Sears connector and CS Cart Sears extension among other tools, in order to ensure an impeccable data transfer process. We can easily prepare variable pricing structure for various kinds of online marketplaces, such as Rakuten. We also mark prices up for various kinds of shopping engines. 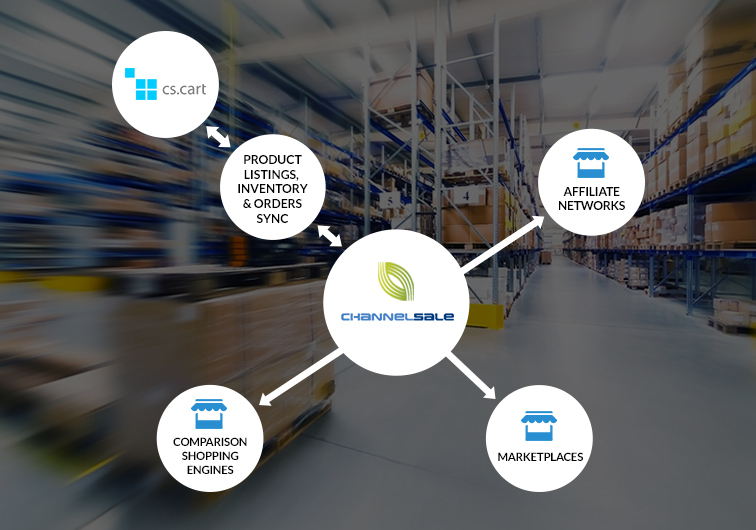 Whether you want to get CS Cart Rakuten integration services or know more about us, mail us at info@channelsale.com or call us on +1-866-709-9495. Contact any Client Service Executive from ChannelSale today.